From generation to generation, the Sanders family knows what it takes to preserve a timeless legacy. It was a simple question from a 12-year-old Scott Sanders. Having grown up just down the road from historic Jerusalem Mill, he spent plenty of time admiring the old buildings, some of which have stood since the 18th Century. One day after a storm, Scott had noticed that a tree had fallen on the roof of the gristmill, which prompted him to ask his father, Harry, this question that would help cement the Sanders’ family legacy in the Kingsville community. Harry himself has a strong connection to the history of the village. He’s lived on the family farmland just a quarter-mile down the road since 1947 and it’s where he and his wife, Carol, raised Scott and his sister, Kristen. So what started as a few calls to government officials and Gunpowder Falls State Park representatives quickly turned into a crusade for Harry. He eventually helped form the Friends of Jerusalem Mill Village, and after 10 years of fighting through red tape and raising the funds necessary, they were able to begin a comprehensive restoration project that took another 15 years to complete. Today, the village buildings, as well as the renovated Jericho covered bridge, stand as a testament to the hard work of Harry and many other people in the community who cherish the rich history of this area. Scott and his wife, Denise, bought another historic home within a mile of the mill, where they are raising their two daughters, Ellen Marie and Cadia. 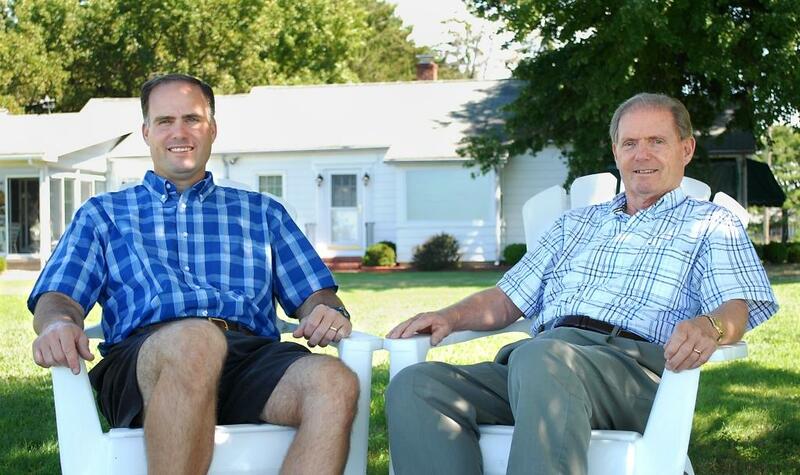 As a family, the Sanders take pride in their strong heritage in the Kingsville community. Harry and Scott are both very active through their church and enjoy making the most of life here. Whether they are hiking in the Gunpowder Falls State Park, fishing on their boat in the Chesapeake Bay or spending quality time with the family, there are many activities they enjoy together. Harry is also an avid skier and enjoys taking yearly trips out West. Scott also enjoys staying active, whether he’s working out at the local athletic club, tending to his garden or driving into Baltimore for Orioles and Ravens games. 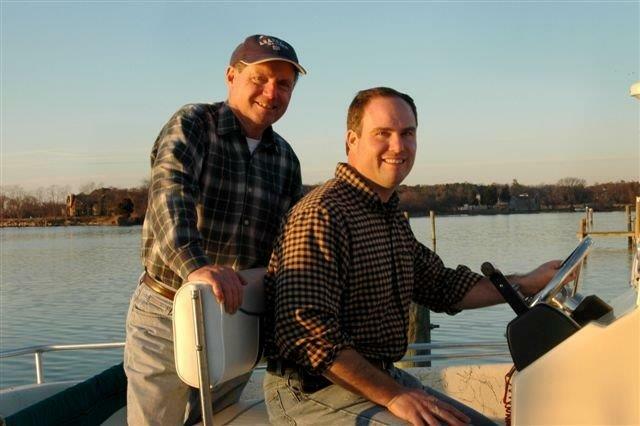 Harry and Scott’s shared sense of heritage and passion for the lifestyle found throughout Baltimore and Harford Counties are what drive them as one of the area’s premier real estate teams. A former teacher, Harry began his real estate career more than 25 years ago and has built a sterling reputation for quality service. Scott also spent several years as a local physical education teacher and coach before deciding to join his father in real estate back in 1995. Together, they have been able to make a lasting impact in the community they love so much. When you combine Harry’s depth of local real estate experience and attention to detail with Scott’s knowledge of technology and marketing, it’s easy to see why they’ve become such a trusted resource. They are both highly goal-oriented, which is why they work with you every step of the way to keep you educated throughout the process and help you make sound investment decisions. If you are buying or selling a home in Baltimore and Harford Counties, count on a real estate team with A Heritage of Quality. Call Harry & Scott Sanders today and see how they are continuing to make history every day. Harry & Scott proudly serve the Baltimore and Harford Counties real estate needs of residents of Baltimore and Harford Counties. 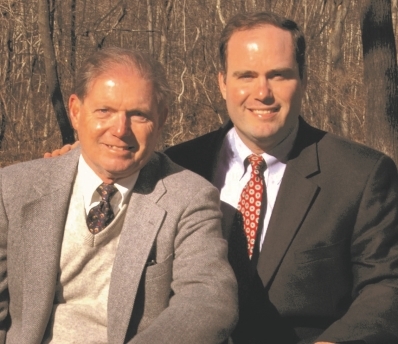 For the father and son real estate team of Harry and Scott Sanders, success is a result of a strong work ethic and a shared passion for the place their family has called home since 1947.